Have you ever thought you’re paying too much for the mobile phone service you receive? A lot of people question their phone plan’s value, but Canstar Blue research has found that only one in ten Aussies have switched providers in the last 12 months. This means many of you are likely overpaying for your calls, text and data each month. To get the best deal, you usually have to choose a SIM-Only plan (i.e. not bundled with a phone) from a Mobile Virtual Network Operator (MVNO) that uses the wholesale Telstra, Optus or Vodafone networks to provide a cost-effective plan. These plans can come in either a prepaid or postpaid format. So, what are Australia’s cheapest phone plans? We’ll compare prepaid and postpaid plans to help you save some cash. Our research found that prepaid mobile users spend an average of $28 per month with their service, while postpaid users spend $43. Consider how this compares to your normal spending and see if any of the plans featured below might offer you better value. Apple’s latest iPhone range landed in September 2018. If you’re interested, here are the cheapest published iPhone XS plans on offer from Telstra, Vodafone and Optus for the standard 64GB model. These costs include handset repayments in combination with a plan over 24 months. This table includes featured products from our referral partners. If saving cash on your mobile costs is your biggest priority, the new Galaxy S10 might not be the right device for you. But if your heart is set on Samsung’s shiny new flagship phone, you can save hundreds annually by picking the right plan. Below are some of the current published deals available for the new Galaxy flagship in our database— you can find more through our comparison tool. Some are sponsored products, which include a link to the retailer’s website for further details. If you’re planning to buy the S10 on a 24-month Telstra plan, prices start from $99 per month on the Small plan with 3GB data ($59 plan price, plus a $40 monthly phone payment). However, if you plan on upgrading your phone after one or two years, you may prefer to lease your S10. This will save you a further $10 each month, but you’ll need to hand your device back after your 24-month contract ends, or when you plan to upgrade. If you’re more interested in the S10+, Telstra is also offering its S10+ customers the opportunity to upgrade to the S10 5G edition once this becomes available later in the year, free of charge whether you lease or buy. But you’ll need to trade in your S10+ in good working order, or be subject to repair fees, and this offer is only available in conjunction with the S10+. Vodafone offers the Galaxy S10 for $91.20 per month over 24 months ($56.20 phone payment, plus the $35 Red plan). However, the most affordable monthly S10 option is if you’re willing to pay your device off over 36 months, which would cost you $72.47 per month for your plan and phone ($35 Red plan, plus $37.47 phone payment). Customers can currently score a Loyalty Discount on selected Red plans, and bonus data is available across several plans. Like Telstra, Optus offers a range of standard 24-month plans for the S10, as well as leasing options. Optus’ smallest plan is its $45, 4GB My Plan Plus option: in conjunction with $34 phone repayments, you’ll be up for $79 per month. 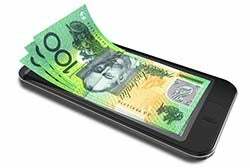 As with Telstra, you’ll save around $10 a month on your device payment if you choose a lease plan, but the same fees apply if you’re unable to return the device in good working order. If you’re more interested in the S10+, and are willing to spend over $100 a month, the telco is currently offering a special recommended plan for S10+ buyers: 200GB of data, plus your S10+, for $110 per month over two years. This actually works out to be better value than the top-level $125 200GB plan, which also costs a total of $125 per month with $0 phone repayments, but you get a bit more international roaming value on the $125 plan. While Woolworths Mobile doesn’t offer all of the latest phones (such as the iPhone XS), the supermarket giant’s mobile business does have access to Samsung devices, including the latest Samsung Galaxy S10, S10+ and S10e. This is great news for consumers who want these devices, as you’ve got a bit more choice to shop around. Woolworths Mobile, much like Vodafone, allows you to select your device payment period separate to the plan you choose, with 24 or 36-month payment periods available. Then, you have the choice between four plans to add on, starting at $20 per month. Like Vodafone, your cheapest option to grab the S10 is to choose a 36-month payment period, which can save you around $20 a month on the device payment compared to the 24-month option. For ease of comparison, looking at the 128GB S10 on a 24-month payment, you’ll be up for $76.20 a month ($56.20 device payment, plus $20 Extra Small plan). It’s also worth noting that the plans you choose with the device are no lock-in plans; however, switching plans or cancelling will require you to pay off the remainder of your device. So you’ll probably want to stick to the plan for the duration of your phone contract, which we have factored in for the below table. If you’re a low-level data user looking to save, 1GB plans are available for under $10 each month from a range of providers. This is ideal for someone wanting just enough data for casual social media use, or light web browsing on the bus journey home, but be careful: you might not get unlimited talk, so these plans generally suit users who prefer texting to calling. You can generally get both prepaid and postpaid plans with 1GB of data for a good price. You might find that the prepaid expiry or plan inclusions differ from provider to provider, so it’s something you’ll need to look out for. 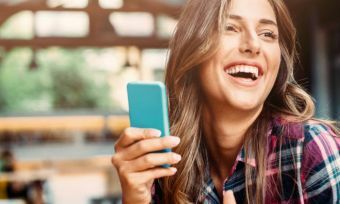 Overall, look for low-cost MVNOs if you’re hoping to save money on a small plan — there’s a lot of competition out there in the budget end of the market. Here is a selection of published plans from our database that include a link to the provider’s website for further details. These are sponsored products. 2GB is a significant step up in terms of data, as you’ll now likely have enough to get all the basics done, plus extra megabytes for Facebook or memes. 2GB plans boost value not only in data, but also in talk and text, as you’ll likely enjoy unlimited calls, SMS and MMS at this price point. Typically a 2GB plan will cost you between $10-$20 per month although you can grab 2GB for less than $10 on a couple plan and plans start to include extras such as unlimited international texting. Below are some published prepaid and postpaid options from popular MVNOs taken from our database. These are sponsored products, which include a link to the provider’s website for further details. This is the business end of the mobile phone plan market, with some serious competition between the providers. Many of the telcos will offer a plan with data somewhere around the 5GB mark. For example, both Southern Phone and Exetel offer good options with over 5GB of data for $25 or less each month, but you will need to commit to a full year with Southern Phone to snag this deal, where as Exetel is on a no-lock in plan. Otherwise, you can opt for a prepaid plan from the likes of Boost Mobile, with generous international inclusions thrown in. Generally, 5GB is a decent data allowance for average users, covering daily social media and internet browsing, and even a bit of daily music streaming. It’s also at the high end of what most Australians would consider as ‘cheap’, mostly coming in at under $30 per month (depending on your telco). Here are selected published plans from our database with a link to the provider’s website. These are sponsored products. By now we’re starting to talk big bucks, but these days you’ll certainly get value for money if you’re a data-heavy user. No longer do you have to pay over $50 a month if you want 10GB – the cheapest plans come in at well under $40, but you’ll usually have to sign up for 12 months to get the best deals. If you’re happy with the Optus network, Southern Phone’s Green 35 plan includes a hefty 18GB for $35 each month. Newcomer Hive Mobile offers 10GB for an ultra-competitive $28.80 monthly, while Moose Mobile also gives you 10GB for $20 per month. Customers wanting some international extras may be interested in Amaysim, which offers 15GB for $40 and throws in unlimited standard international calls to 10 countries. Here are some published plans from our database, which are sponsored and include a link to the provider’s website. There are a number of prepaid providers offering cheap phone plans for under $10 per month, or with very short expiry periods of just 7-10 days. However, the first lesson to learn here is that cheapest does not mean best, because these cheap plans come with minimal inclusions, sometimes with no data. They are often simple pay-as-you-go (PAYG) plans, where you get the dollar value that you pay for. You will likely require more than these plans can offer, but if your usage requirements are modest, there are some cheap options. TPG offers a $1 per month prepaid plan with PAYG call and text rates, plus 50MB of data. This plan runs on the Vodafone Network. In terms of rates, standard national calls are 9.9c per minute with 10c flagfall and texts cost 9.9c each; all data over your included 50MB is charged at 10c per megabyte, which adds up to a massive $102 per gigabyte. You’ve probably realised that if you’re spending under $10, you probably don’t stand to receive much in return. These plans above, while cheap, may fail to meet the demands of modern day mobile phone use, where data, browsing and streaming are part of our day-to-day use. While we’ve provided a snapshot of cheap plans, there are many more telcos offering cheap deals across prepaid and postpaid plans, so it’s always best to do a comparison before you jump straight in. Are cheap phone plans a good move? Cheap mobile phone plans may seem tempting, but some of them come with some limitations that could be a put off many customers. At the most bargain-basement end of the spectrum, a lot of providers offer seemingly solid value, but some plans commonly feature short billing periods – say 7 or 10 days – which means costs can quickly add up if you recharge three or four times to get a full month’s worth of service. Suddenly, that plan won’t be so cheap after all. At these low prices, you may also be subject to call and texting caps, which can dissipate quickly if you’re used to dearer phone plans with unlimited calls and texts. You’ll also find some other providers have PAYG call, text and data rates that can also add up rapidly if you are not constantly on-track with your phone use. The good news is, you can get a full 30-day or monthly phone plan with unlimited calls and texts for as little as $10 these days, which generally come with 1GB data to boot. Value only seems to increase the more you spend, with 10GB plans coming in at under $40. A common theme appearing is that providers offer data bonuses if you’re willing to sign up for 12 months. While these deals look great on paper, you will have to consider whether you prefer flexibility and what else might be out there a few months down the track. Either way, it’s best to compare a range of different providers with both postpaid and prepaid payment terms, because there is no ‘one size fits all’ answer. Whatever you do, make sure you take action if you suspect you’re paying more than you need to.